A tribunal constituted to investigate former Prosecutor-General (PG) Ray Goba’s suitability to remain in office will no longer proceed to hear his case after he tendered his resignation. This effectively means that Goba is now off the hook. 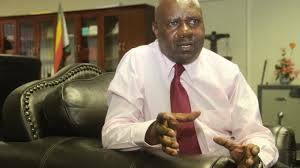 In July this year, President Emmerson Mnangagwa set up a three-member tribunal led by retired judge November Tafuma Matshiya to investigate Goba’s suitability. Other members of the tribunal were Takawira Nzombe and Wendy Chingeya. But before the tribunal could commence its work, Goba tendered his resignation, which was subsequently published in the Government Gazette last Friday. This paves the way for the appointment of a new substantive PG. Justice minister Ziyambi Ziyambi told the Daily News during a ceremony to swear-in ministers at the State House yesterday that the probe into Goba will no longer be taking place. “There is no need (for the tribunal to hear the matter). The reason why the tribunal was appointed was to look into the question of his suitability to continue in office, once he resigns, there is no need to proceed with an academic exercise that will not yield anything. “So, the effect of that Gazette is to notify the JSC (Judicial Service Commission) that they now have a vacancy and it’s JSC which now has to call for nominations and then interviews will commence. So, the ball is now in the hands of JSC to initiate the process,” Ziyambi said. Goba was suspended in July this year following a slew of allegations ranging from his alleged failure to prosecute high profile corruption cases to allegedly using abusive language and leaving the country without Cabinet authority. Following his suspension, Kumbirai Hodzi was appointed acting PG, pending the outcome of a tribunal, which has now been halted owing to Goba’s resignation. Section (259) (7) of the Constitution says a PG can only be removed from office by a tribunal, after a judicial inquiry. The complainant in Goba’s matter was Ziyambi — whose wife Florence, was said to have had several run-ins with the former Prosecutor General. Florence, who was Goba’s deputy, was in March shunted to the Office of the President and Cabinet, where she now works from as a government lawyer. Goba was initially fired from office last year by former president Robert Mugabe, who rescinded his earlier appointment to the substantive post of PG via a shocking extraordinary gazette which was signed by the chief secretary to the president and Cabinet, Misheck Sibanda — who ironically had earlier issued the previous gazette confirming his appointment.